The opening hours may vary between clinic locations. The average GP appointment lasts just 7-minutes. As women, our health can change constantly; from what we eat, to how we sleep, changes in our monthly cycle, mood swings and cravings. Try explaining that in 7-minutes!That’s why The Women’s Health Clinic exists. We’re ONLY staffed by female nurses, and our minimum appointment is 30minutes. We can refer and prescribe if necessary but most of all we can advise. Want to know more? Call our nurses now on 0800 488 0909, email us or chat online to find the solution that suits you. Still unsure? That’s ok, we also offer monthly ‘Ask Me Anything’ sessions via closed Facebook groups with our experts. Plus, if you do decide to become a patient you will have access to your own dedicated nurse for any follow up questions and a private Facebook group where you can chat with other patients. 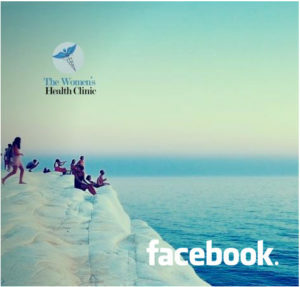 At The Women’s Health Clinic we believe in making a difference to the lives of women all over the world in everything we do from vaginal rejuvenation, anti-ageing, body reshaping to general wellbeing and much more. Our unique clinics are staffed by nurses with a wide range of specialisms from urology, gynaecology, midwifery and menopause, to ensure that we have the right set of skills to treat our patients. Most importantly, they are women, Mother’s, and professional nurses who have seen it all before. Our premier treatment, Nu-V is the ultimate in vaginal rejuvenation suitable for conditions such as: laxity, atrophy, vaginal dryness, lichen, incontinence, sexual dysfunction and appearance. Our bodies gradually slow down as we approach the menopause. As a result many women suffer unpleasant or distressing symptoms. Our menopause specialist nurses are experts in both conventional and bio-identical HRT. We provide discreet & confidential screening, specialist advice, treatment and ongoing support for anyone who fears that they may have been exposed to a sexually transmitted infection. Our FSRH certified nurse specialists are experts in all areas of contraception and family planning advice. From natural family planning through to coil and implant fitting or removal. We provide holistic core pelvic floor exercise education to strengthen your pelvic floor in conjunction with our Nu-V and other women’s health treatments. Good nutrition is vital for a balanced and healthy life. We can assist you to adapt your diet to achieve optimal health benefits at all stages of your life. A choice of six treatments focusing on both skin age and complexion, there are plenty of options to create the face that you want. Body sculpting transforms your figure and gives you back the ‘wow factor’ you may have lost over time. Our Vaser and fat transfer practitioners are amongst the best in the world and see the application of this treatment as an art, with you being the canvas.This service will be launched in 2019. Your body holds the key to your own rejuvenation. Learn how to control it with our latest treatments. Join our Access All Areas closed Facebook group to take advantage of our monthly ‘Ask Me Anything’ seminars, or once a patient look out for a link to join our exclusive group.